Cosmetic dentistry has revolutionized the art of enhancing the appearance of people. There are many esthetic materials and procedures in the field of dentistry that can help improve the smile of a person. A beautiful smile can bring about a big difference in the appearance and presentation. That is why many individuals today seek for cosmetic dentistry procedures when they are preparing for a big event in life. Cosmetic dentists are professionals who are skilled in the art of making best use of dental science in creating beautiful smiles. 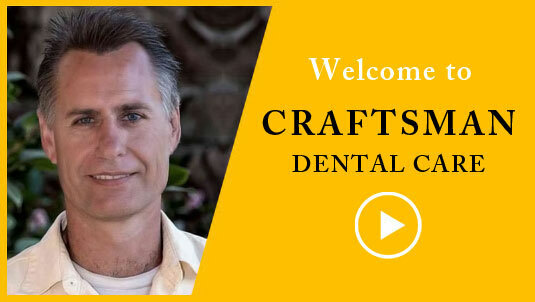 Craftsman Dental Care office at Sacramento is one of the places where your smile can be beautified. Call our office and meet our doctors to discuss about your smile desires. Our doctors can bring about a positive change in your life. Though Cosmetic Dentistry is not a specialty in dental medicine, there are many institutions offering courses in the field to educate dental professionals about how dental materials can be optimally used to enhance the smile. Continual education in the field of cosmetic dentistry keeps dentists aware of latest technologies and materials. This can play a vital role in the success of the smile makeover procedure. A cosmetic dentist who has several years of experience in performing procedures may have exposure to many different types of cases. Many years of experience gives confidence and knowledge to treat different esthetic problems. When it comes to opting between two different methods for treating an esthetic error, experience can let dental professionals make better decisions. Cosmetic dentists normally display their cases in the website or at office. The complexity of the cases and the results achieved can give patients an idea of what to expect from the dentist. The more complex cases handled, the higher the skill set and the success rate. Every person’s esthetic needs are different. It is during the consultation a patient gets to know the cosmetic dentist well. Patients should express their idea of a good-looking smile and tell what they do not like about their teeth and gums. The response of the cosmetic dentist to patient’s esthetic needs can give the patient an idea of how the smile makeover process is going to be. The cosmetic dentist builds confidence in the patient during this visit. Therefore good communication is crucial for patients during the visit.